The ONAC Luncheon Raffle is back! Gift and prizes for our luncheon attendees who participate in our fun & exciting raffle. This is also a great opportunity to promote your business or organization. What’s the best way to let people know about your business? Give them stuff with your logo, of course! Turn your SWAG into a thoughtful gesture from your company to our membership and your community. Contact us and let us know you’re interested! It’s an excellent opportunity to showcase your business/organization/agency, promote your products and services, and find that next business partner or unexpected supplier for your business needs. The luncheon features a segment dedicated to networking as well as facilitated speakers and/or panels during lunch. And Enjoy Great Conversation With Community Leaders and Agency Partners! Metro – Council Chambers 600 NE Grand Ave. The Oregon Native American Chamber’s March Luncheon focused on Digital Marketing for businesses and organizations. 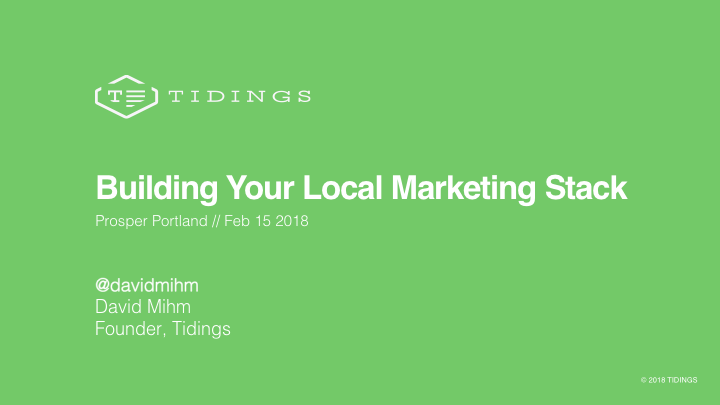 We were joined by two business owners in the Portland area, who were happy to share their expertise and perspectives on ways for our members to utilize digital platforms to their advantage. We are including links to their respective presentations as well as some highlights from the discussion. 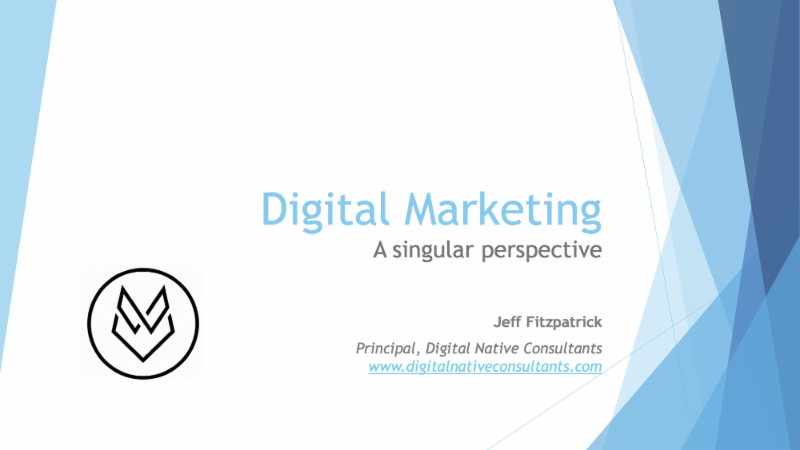 ONAC would like to thank both Jeff Fitzpatrick of Digital Native Consultants and David Mihm of Tidings for presenting at our March Luncheon as well as providing their slides for our members and partners in this email. ONAC encourages small businesses to utilize professional service providers as you look to grow and build your business, including marketing and communications. Jeff and David invite any questions, and are happy to be a resource for ONAC members. Click here to Jeff’s presentation from the ONAC Luncheon. Click here to see David’s full slideshow. The City of Portland, Bureau of Environmental Services, Portland Bureau of Transportation and Portland Parks & Recreation will be sharing the upcoming projects and contracting opportunities at their bureaus. Their focus is to make sure that the Disadvantage, Minority, Women and Emerging Small Businesses are well aware of these opportunities and invite them bid on these projects. The Oregon Native American Chamber (ONAC) invites you to join us for our Networking Luncheon. We will be hosting our luncheon at Metro’s Council Chambers. We know that many of our members join ONAC as a way to grow their business and connect to the community. This event provides a unique opportunity to meet, network, and build relationships with business and community leaders (Native and non-native) from across Oregon and SW Washington. The mission of Albina Opportunities Corporation is to “Inspire business opportunities and create jobs and wealth for Portland’s underserved small businesses and distressed neighborhoods.” AOC, a community development financial institution, provides loans and business advisory services to women and minority owned small businesses, as well as businesses in low or moderate-income census tracts. Creating an ecosystem for social enterprise means helping entrepreneurs access the expertise and capital they need to succeed. Amy Pearl | Founder and Executive Director, Hatch Innovation- Amy draws on extensive experience in the education, corporate, and social sectors to shape a vision of how we might address global challenges by activating a new kind of community leader. An inveterate educator and strategist, she designed unique programs such as Local Agenda and Challenge and Change that teach adults and youth social entrepreneurship skills in high-need, under-served communities. MESO’s mission is to improve the economic opportunities of underserved individuals through empowerment, education, and entrepreneurship for the benefit of the greater community. MESO provides capital, coaching, and comprehensive support to entrepreneurs in Washington, Clackamas, Multnomah and Columbia counties. We support passionate founders who are focused on solving real world problems, persevere when they face challenges, and are open to seek help when they need it. We provide the financial and mentor capital needed to build a successful company. Backed with experienced mentors, investors, and partners globally, we can elevate your dreams into a reality. Do not miss this great opportunity, register today to ensure your seat!